We're excited that you're registering your camper for Summer Music Camp 2018 at Lake Mead Baptist Church. ​please contact Scott Adams at (702) 378-2911. If you are registering for the Vocal Mini Camp please tell us what voice part you are. If you don/t know just select "I don't know". My child, named above, has permission to participate in Summer Music Camp with Lake Mead Baptist Church. I release Lake Mead Baptist Church and its representatives from any liability pertaining to this event. I also authorize emergency treatment for my child should it become necessary for the welfare of my child. Furthermore, I allow my child to participate in off-campus activities and transportation to those activities related to Summer Music Camp. 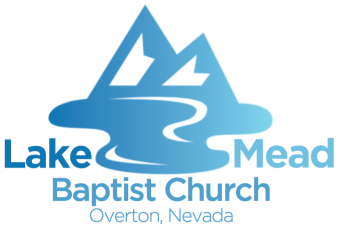 I give Lake Mead Baptist Church the right and permission to publish photographs, video and audio recordings taken of my child during this event. These photographs, video and audio recordings may be used in whole or in part, and may be used in publications and in audio-visual presentations, promotional literature and materials, website promotions, online social communities, or in other similar ways. By my child participating in this event, I give Lake Mead Baptist Church permission to use photographs, video and audio recordings of my child for the purposes stated above. In addition, I wave any right to financial reimbursement or liability related to the reproduction of such photos or video, now or in the future. I further agree that I am legally able to make these decisions on behalf of this child.